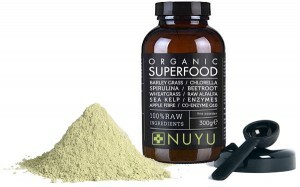 A new product has been released to the market of superfoods – NUYU Superfood. Does it have just a flashy name or does it offer some real benefits? Let’s find out in our NUYU Superfood review. 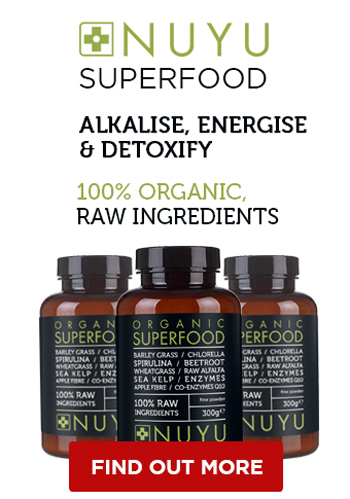 NUYU Superfood Review – Keeps You Active, Healthy and Happy Reviewed byMike on November 24 . It’s a great supplement for busy professionals who are looking to stay on top of their game and stay healthy even if they don’t have time to prepare balanced meals, work out daily and sleep as long as they should. NUYU Superfood is a new supplement from Bauer Nutrition. It is a very powerful blend made of minerals, vitamins, antioxidants, essential amino acids and phytonutrients. All the ingredients are 100% raw and organic superfoods, which are cold-dried in order to keep their important nutritional properties. NUYU is sold in a powder form, which means you can add it to any drink. The bottle contains 30 days worth of nutrients (10g per day, 300g in total) to keep you healthy and happy. Powdered superfoods are considered even better than regular supplements as they go hand in hand with the new and hip juicing trend. Adding a dosage of the powder to your juice (or any other drink) will maximize its effects and make a perfect pack of nutrients. Powdered superfoods are also often the only option to get your hands on some of the best ingredients in the world, which are difficult to get in their natural fresh form. What Are the Benefits of Using NUYU Superfood? NUYU Superfood has all the benefits of each of its powerful ingredients (we will look at what they are a little later). It is even superior as it has all of them combined after being grown in pristine conditions using the famous cold-drying process, which protects all the bioactive phytonutrients and components from heat. It means that the supplement is as fresh and alive as if it was raw. We were surprised to learn how it works as it truly stands out among other similar superfood products. What NUYU does is it corrects your body’s pH and keeps it at an optimum level. It’s alkalising powers have a list of positive effects and benefits that contribute to your overall wellbeing. It makes your skin glow, your eyes brighter, and gives you all the energy you could ask for to go about your day. To keep the effects at maximum level, take your NUYU dose in the morning with breakfast. 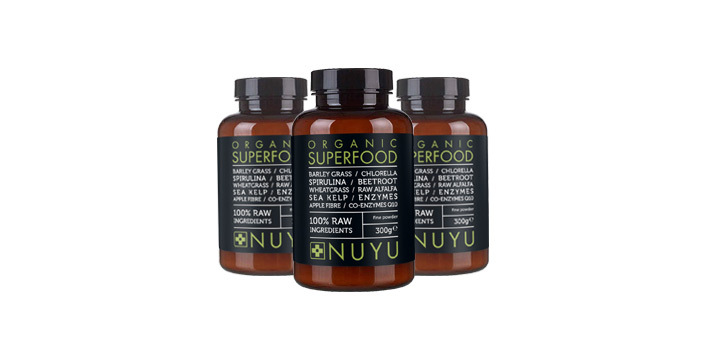 Should I Be Taking NUYU Superfood, Will it Work For Me? Are you looking to boost your immune system, optimise your health and prevent most illnesses? Are you trying to stay healthy and keep your mind clear? Then NUYU is exactly what you need. Even though the target audience of this product are people aged 25 to 45, if you are not in this age group, don’t think you won’t benefit from this supplement. It is packed with minerals and vitamins that everyone of us needs. Unfortunately we couldn’t yet find any feedback from users of this product, it’s just too new. But we will keep you posted when we have heard from people using it, so we can share some of their experience and results. Although from the ingredients and its working method, it simply cannot disappoint. All that we have learned about this product makes us think that it must be one of the most powerful superfood product out there. Thanks to its powder form it can be added to drinks, it doesn’t take any time to prepare. Its ingredient list is impressive and makes sure that all processes in your body work smoothly. If you are looking for something to give your well-being, health and mood a boost, this is definitely the product to consider.